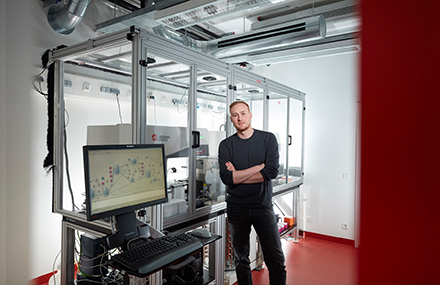 Julian Stingele, until now postdoc at The Francis Crick Institute in London (UK), has been appointed tenure track Professor for Cellular Biochemistry at the Department of Biochemistry. The focus of his research is DNA-protein crosslink repair. Welcome! Maintenance of genome stability is essential to counteract cancer development and ageing. We are trying to understand how cells detect, signal and repair DNA damage. Moreover, we are interested in identifying the endogenous processes causing DNA damage in human cells. We investigate these processes using a combination of genetic approaches (CRISPR/Cas9 knock-out screening, high-content screening) and biochemical/biophysical techniques. For more information please visit the Stingele lab website.